Red Roof Inn & Suites Owego now has a banquet room for all your events! The on-site banquet facilities seat up to 350 guests. The space is perfect for weddings, banquets, meetings and more! 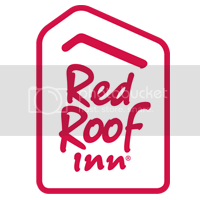 Experience Red Roof Inn & Suites Owego! During your stay, enjoy our on-site restaurant, The River’s Edge! Then, enjoy a relaxing game of golf just a short drive away at the Pheasant Hill Country Club or spend an evening with Lady Luck at the Tioga Downs Casino & Raceway! When you final retire to your room, enjoy completely renovated guest rooms which include free Wi-Fi, a flat screen TV, hair dryer, iron and ironing board, work desk and in-room coffee. Select rooms include a microwave and mini-refrigerator. Traveling with family or friends? There are adjoining rooms available making for a great stay for your whole party! Red Roof Inn & Suites Owego provides guests with a renovated and relaxing experience. Enjoy the picnic area, BBQ Grills and an amazing, riverside view. Take a short walk to several unique restaurants, shops and the Susquehanna River. Come and experience the Village of Owego like never before.